Cardhop 1.1.3 – Manage your contacts. Next story iMazing 2.6.4 – Complete iOS device manager (was DiskAid). Previous story Renamer 5.2.2 – Rename files in batches. 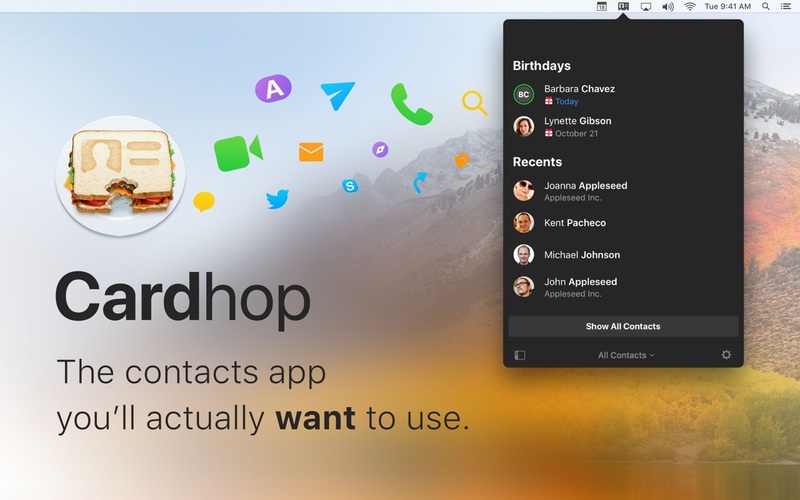 Cardhop 1.0.5 – Manage your contacts.